“Daddy, we’re having banana bread!” That’s what Avery told me around 4:00am this morning while I was laying in bed. Admittedly, I didn’t get up until about 45 minutes later, but she wasn’t joking. 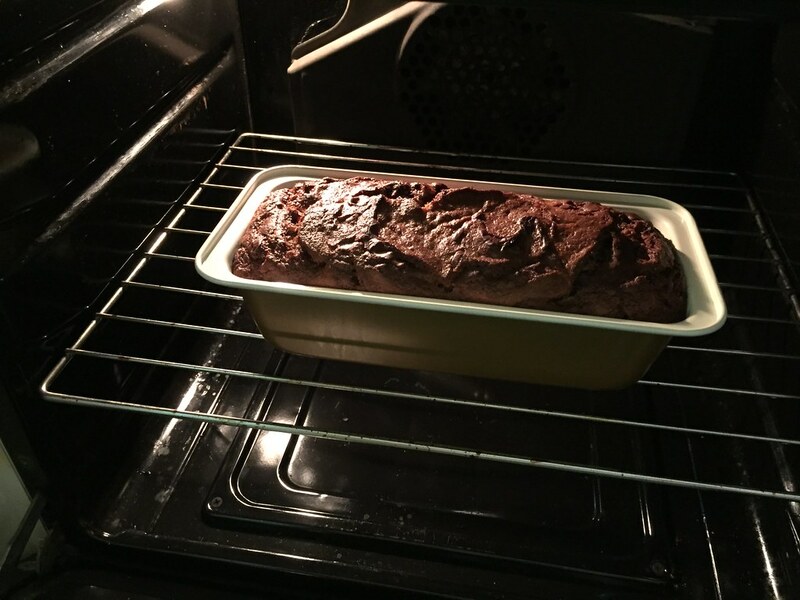 When I stumbled in to the kitchen, Bethany was wide eyed and the oven was baking away a fresh banana bread loaf with Nutella (shown above). She had been awake since 2:30am and finally got out of bed around 3:00 and got straight to work apparently. As I’m sure you figured out, we’re still jet lagging and we’ve been home for a week now. Even we’re struggling to understand and believe it. But I guess we’re making the most of it. Today we had banana bread at 5am, enjoyed a cup, and even read a devotional. I even had time to read my 10 chapters in my Bible reading program. 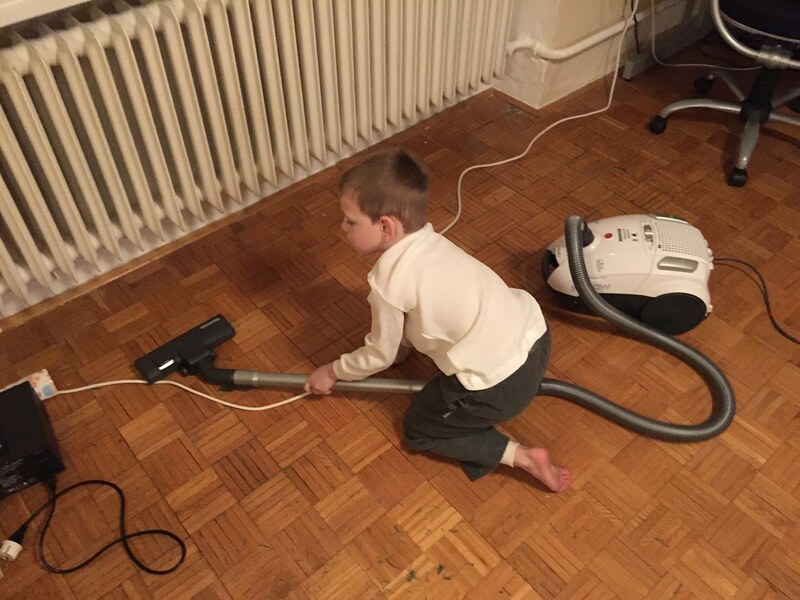 After all that, Titus and I started working on cleaning the house and he was getting serious with the vacuum (as you can see in the photo above). Even though it’s been a little cold (mid 30s), the kids have been wanting to go outside and do bubbles. In the above photo you can see them dancing and playing outside after Titus got home from school today. It’s fun to see them enjoying the weather, even when it’s colder. Titus’ teacher told Bethany that we should speak more Czech to Titus at home. 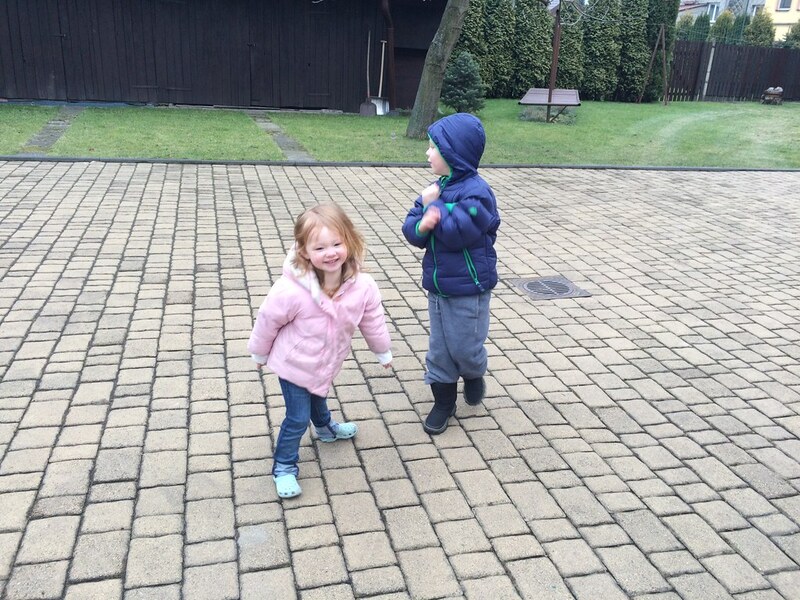 When I took him to school today, I spoke a little with her in Czech and she seemed pretty happy about it. If we could teach Titus more Czech, we would, but since our own understanding is so limited it makes it tough. As I talked with his teacher this morning I can only get so far before I just say, “I’m sorry, I don’t understand” (in Czech). 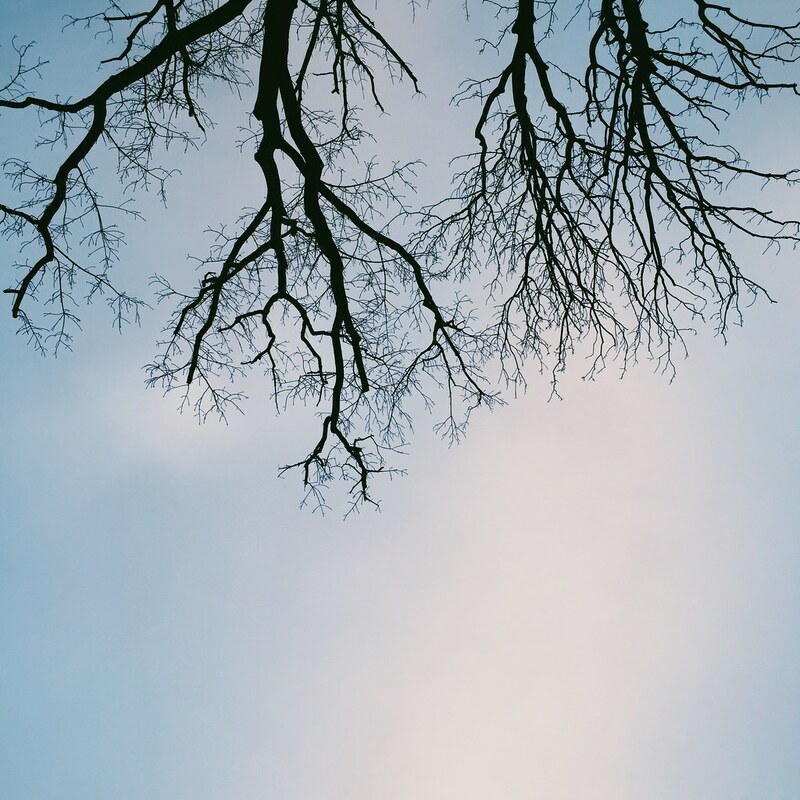 It’s never easy to feel like you can’t continue a discussion (or even a relationship) because of the language limitation, but it’s just reality for us right now. Bethany and I have come to the conclusion that we’re not going to continue to feel bad about it, but just do our best to plow forward with learning and trust God for the rest of it. It might be a slow process, but eventually we’ll have opportunities to complete sentences and conversations!